Construction has just begun on Cameroon’s first destination retail and leisure mall; this is according to Actis which is the leading growth markets investor. The mall is Phase 1 of the development which also includes a business park hosting a hotel and corporate office spaces. The mega mall dubbed Douala Grand Mall and Business Park will comprise of 18,000 square metres of retail and leisure space, close to Bonapriso in Cameroon’s largest city. 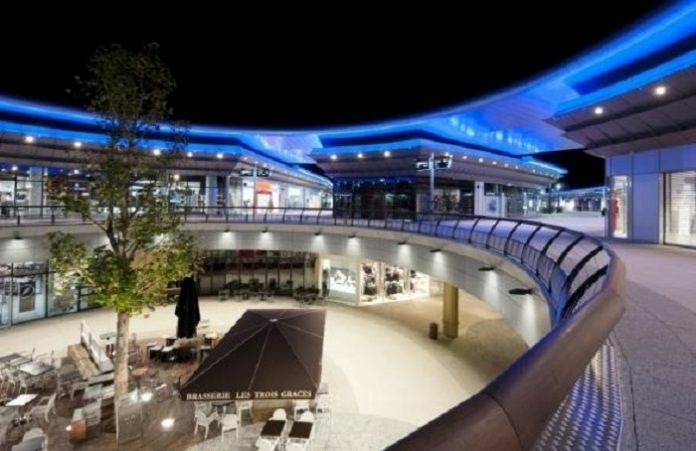 It will also include multiple restaurants, a children’s play zone, a five screen cinema, a supermarket and retail shops. The Development is being constructed by Actis and a local partner, Craft Development. This comes after Actis and Genesis Group signed an agreement to bring the first premier cinema to Doula in September last year. Amanda Jean-Baptiste, Partner, Head of West Africa, Real Estate at Actis confirmed the reports and said that Actis is delighted to reach this key milestone in delivering Cameroon’s first destination retail mall. “Actis is thrilled to reach this key milestone in delivering Cameroon’s first destination retail mall; anchored by two flagship brands seeking to benefit from the growing consumer power. The Mall will make a significant contribution to job creation and other economic indicators in the Cameroonian economy,” Amanda said. Actis has a strong presence across Francophone Africa including energy, education and healthcare businesses. Craft Development currently owns and operates a number of mixed use, office, industrial and retail buildings. They focus on delivering buyers superior quality and design at a great value.